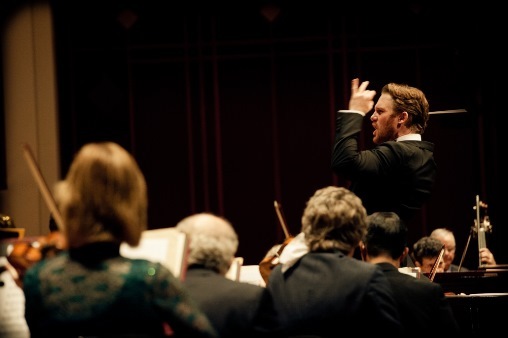 Courtney Lewis, Music Director of the Jacksonville Symphony, has designed a program of music and outreach that caught the attention of the officials of the recently formed SHIFT Festival of American Orchestras in Washington DC. Courtney and the orchestra will perform March 24, 2020 in a program of Duke Ellington’s Celebration, written for the Jacksonville Symphony, Bridges written by Composer-in-Residence, Courtney Bryan, Dutilleux’s Métaboles, Copland’s Clarinet Concerto, and Stravinsky’s Symphony in C. The orchestra will also bring components of its educational and community outreach programs to the DC area. Courtney, now ending his 3rd season as Music Director, enters a 3 year extension of his contract. His season-ending producthttp://courtneylewis.com/ion this past June was a brilliantly played 82-minute synthesis of Richard Wagner’s Goetterdaemerung. Visit courtneylewis.com for more information.